This card is so 'wicked'! 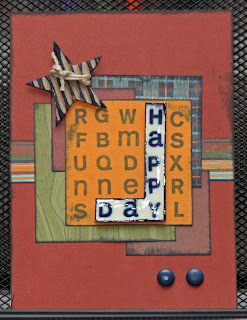 Here is the first submission for the 'Non-Halloweeny' August Stamp of the Month Challenge. Donna Davis has used the set in a different way that is very cool. Don't forget to send me your artwork! 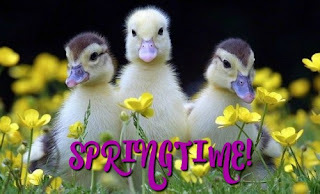 Check out Donna's blog at http://comopark1886.blogspot.com. 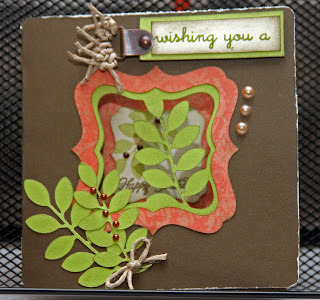 Here is yet another cutout card I made using the Art Philosophy cartridge.... and my entry for the color combo challenge at the Heart 2 Heart Blog (colors used are Sorbet, Cocoa and Pear). 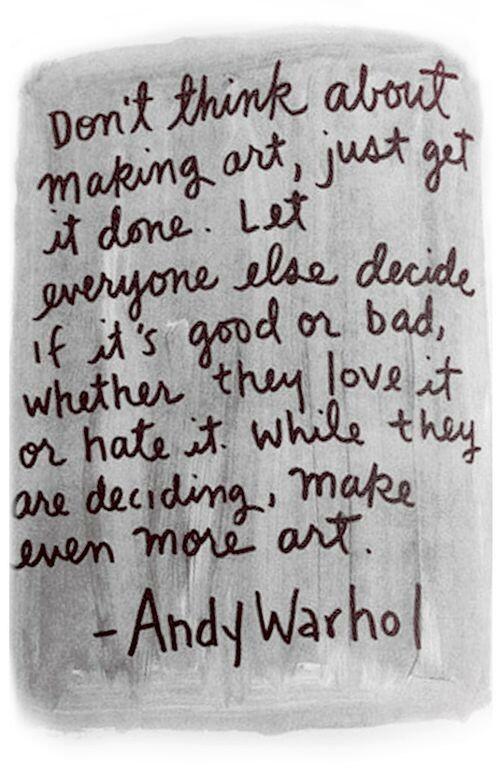 Be sure to send me pics of your Art Philosophy creations so I can post them! 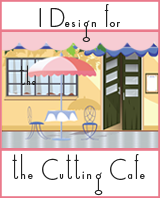 And... if you don't already have one, start your own blog to show off all of your artwork. Enjoy! Had a workshop Friday night. Here is one of the cards we made with the free Typeface set available when you purchase 'Wicked' Stamp of the Month for $5. This is an A-sized alpha set. 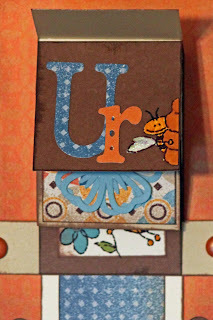 I just arranged some of the letters in a square pattern and then chose the words I wanted and where I wanted them and replaced those letters with the ones that made the words. It took a little rearranging if I needed a certain letter for the words Happy Day but it didn't take me more than a couple minutes to set it up. 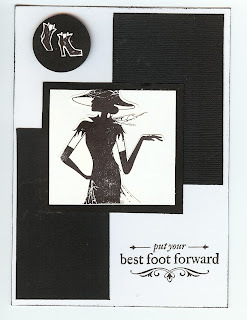 Here is one of the cards we made at a workshop last night. 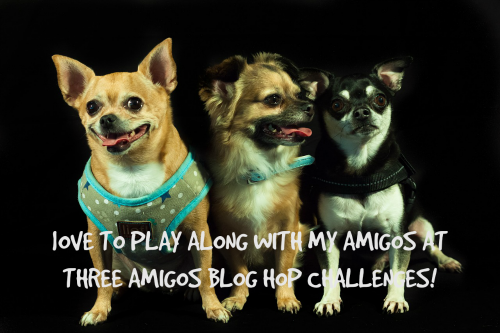 Don't forget about this month's challenge! 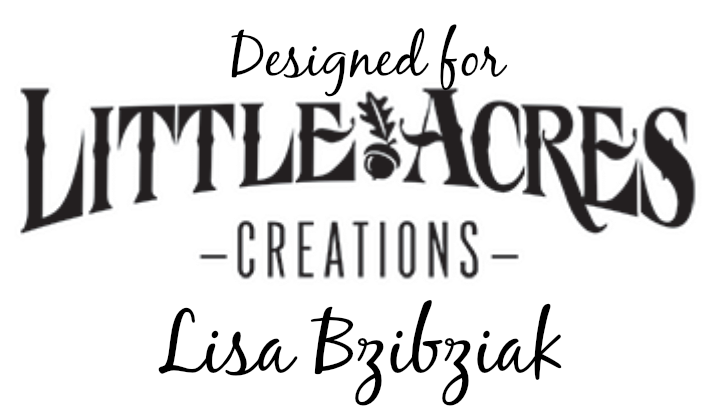 Create something.. anything.. Non-Halloweeny using this month's Stamp of the Month, Wicked and send me a pic and be entered into a drawing for a prize from me. 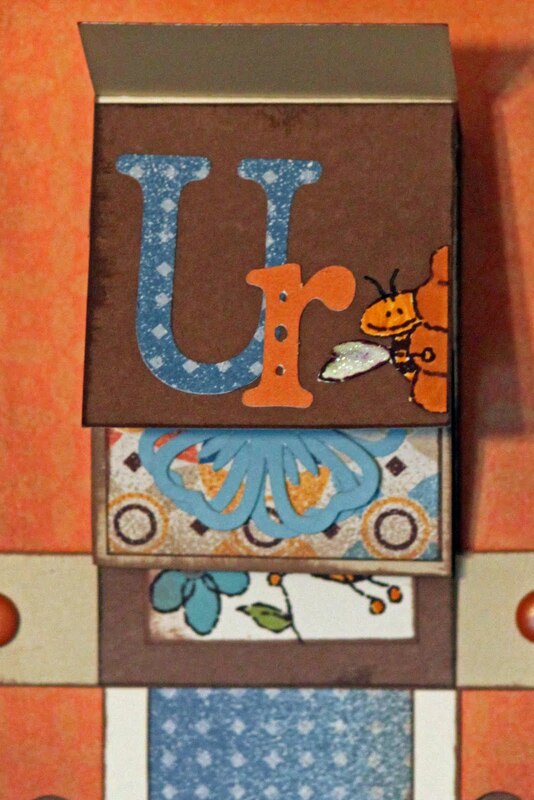 It can be a layout, a card, a tag, a border... you name it! 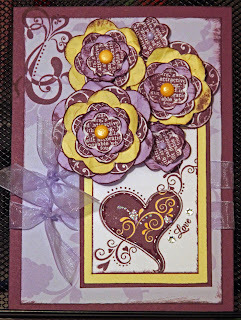 These flowers were cut using the new CTMH Art Philosophy Cricut cartridge and stamped using the coordinating Hooray Bouquet set... have I told you lately how much I LOVE that cartridge?! 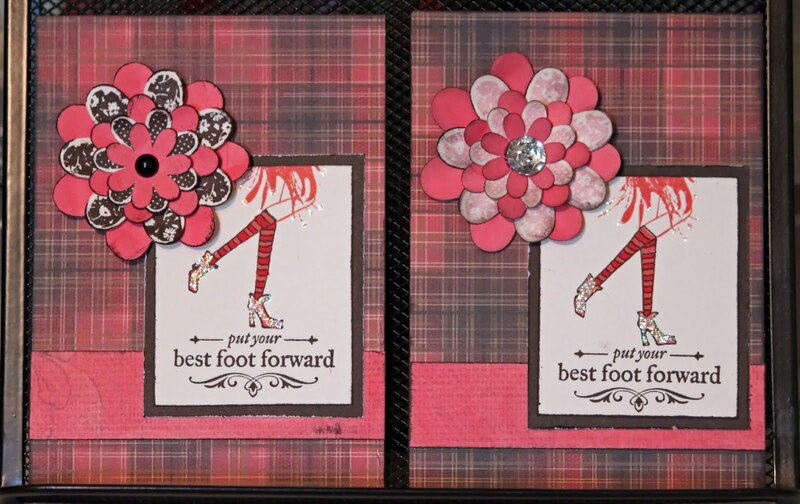 I love when you all share your projects that you're working on with me and would love for more of you to send me pics of your artwork that you're making with CTMH products. 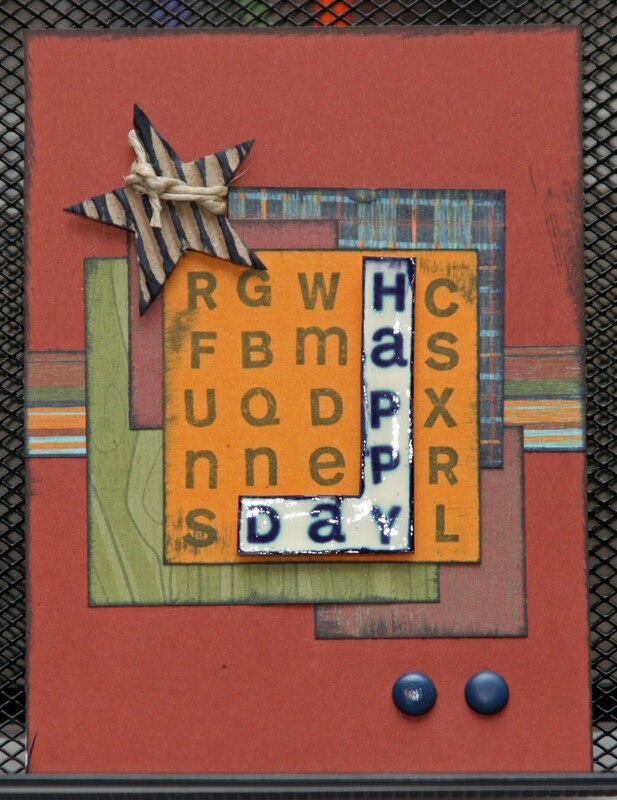 Here is a layout that Donna Davis made. 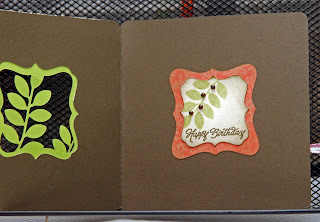 She's working on a special project for a special someone ...lol... and the layouts that she's done are gorgeous. I'll be posting more pics later. This one was done with the Bliss paper pack that is not available any more. 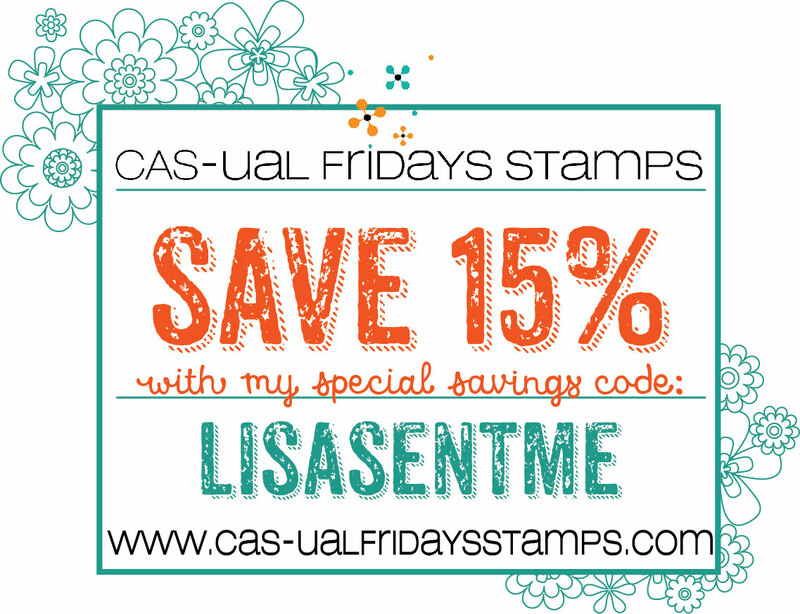 Although you might be able to find it in the discounted section of my website. Thanks for Sharing (TFS), Donna! Just dropped my oldest off at his new apartment at college. I am so proud and so sad all at the same time. He's in his senior year and although he's always been so independent he really has grown into quite the awesome young man. My youngest will graduate high school this coming Spring. Waiting for him to come home from his Summer job right now and missing him terribly and also so very proud of him. (And OMG I better get going on his School Scrapbook I started long ago and haven't finished yet!) My friends' kids are graduating, getting married, having babies.... where did the time go? I blinked and everything changed. Attending one of those weddings tomorrow. 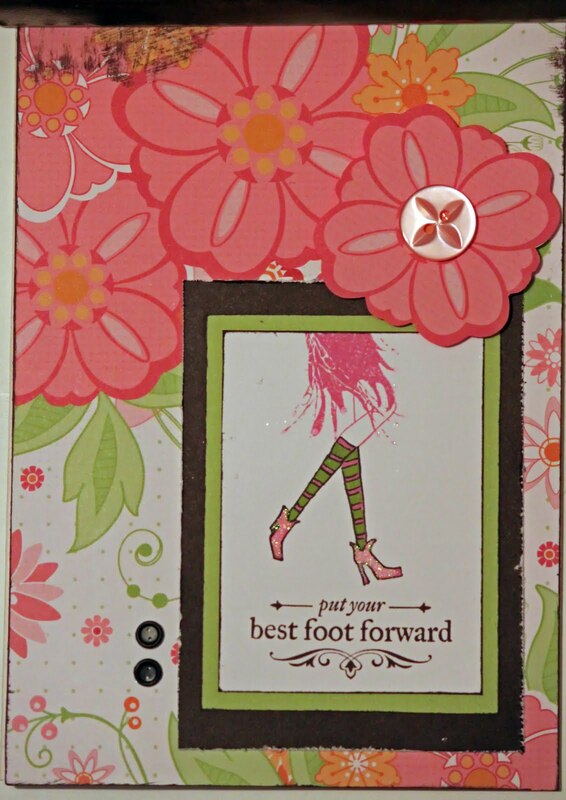 Below is a card I made with the new Art Philosophy Cricut Cartridge, the coordinating Hooray Bouquet set and Hearththrob. This past Saturday I had a demo at the Erie County Fair in the Creative Arts Building. Thanks so much to all of you who stopped by to talk and/or do the project. We raised some money for Operation Smile and had a lot of fun in the process. 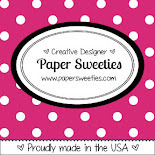 Congratulations to Kathy Cendrowski, the winner of the 'American Celebration' stamp set! 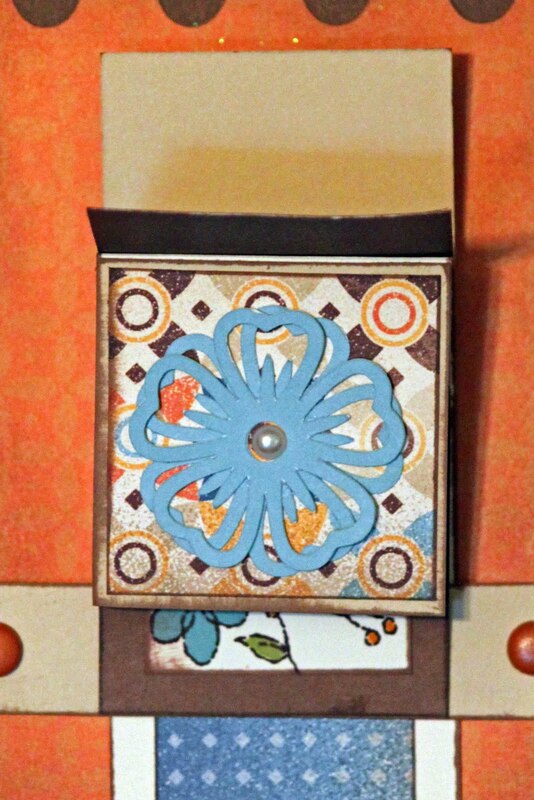 I'm attaching a picture of the little bags we made during the demo and a card I made over the weekend using some of the leftover flowers. 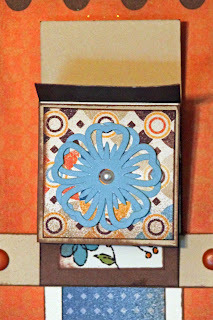 The bags, flowers, and flourishes were all cut using the new Art Philosopy Cricut cartridge. 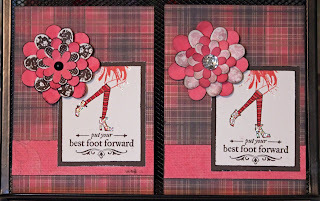 The flowers were stamped using CTMH's Hooray Bouquet set that has lots of images that correspond with the flowers cut from the Cricut cartridge. Well, girls... it's on! Here is a card I made with the August SOTM 'Wicked'. My challenge to all my customers is to use 'Wicked' to create something Non-Halloweeny and submit a pic to me. I will draw from all entries and the winner will receive a gift from me. If yours is the only submission, you win! 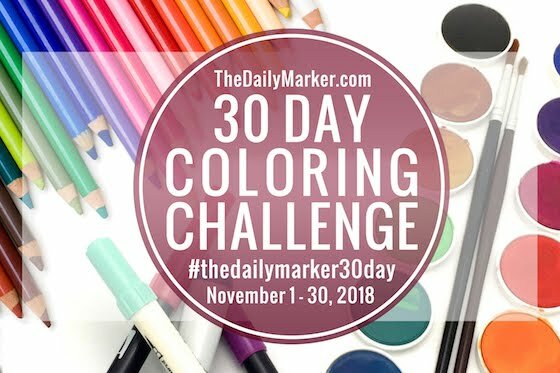 I hope there is lots of competition though because I love to see your artwork! 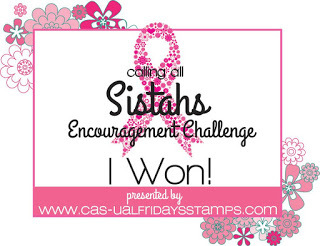 You have until September 15th to submit your entries for the drawing. 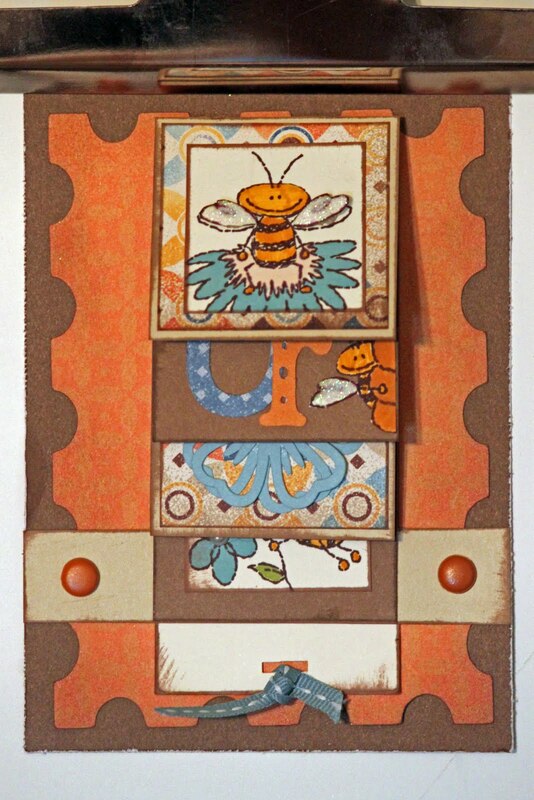 This is a waterfall card I made using some of the images on my new CTMH Art Philosophy cartridge, the new beautiful paper pack, Dreamin', and one of my favorite stamp sets Bee Happy. 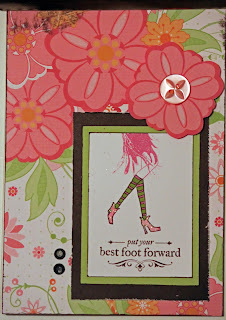 We're gonna make this card at a Gathering on Thursday... it really is a fun and easy moving card to make. 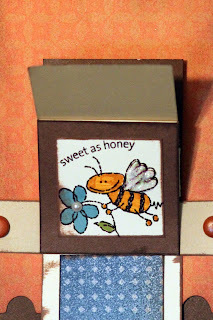 Have I told you lately how much I love my Cricut and my Art Philosophy cartridge? Yes! 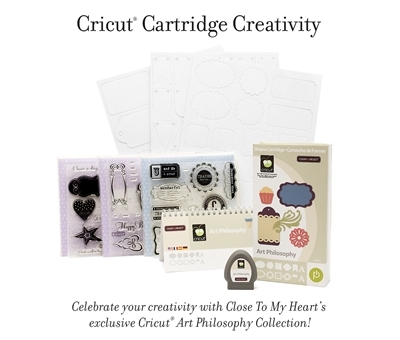 Close to My Heart now has a Cricut cartridge called Art Philosophy that is available bundled with three coordinating stamp sets and three sheets of coordinating chipboard shapes. I have been playing with the cartridge for a few days now and I LOVE it!! There are so many images on the cartridge including a very nice alphabet, flourishes, cards, tags, flowers (including 3-D flowers), bags, boxes, and more!! 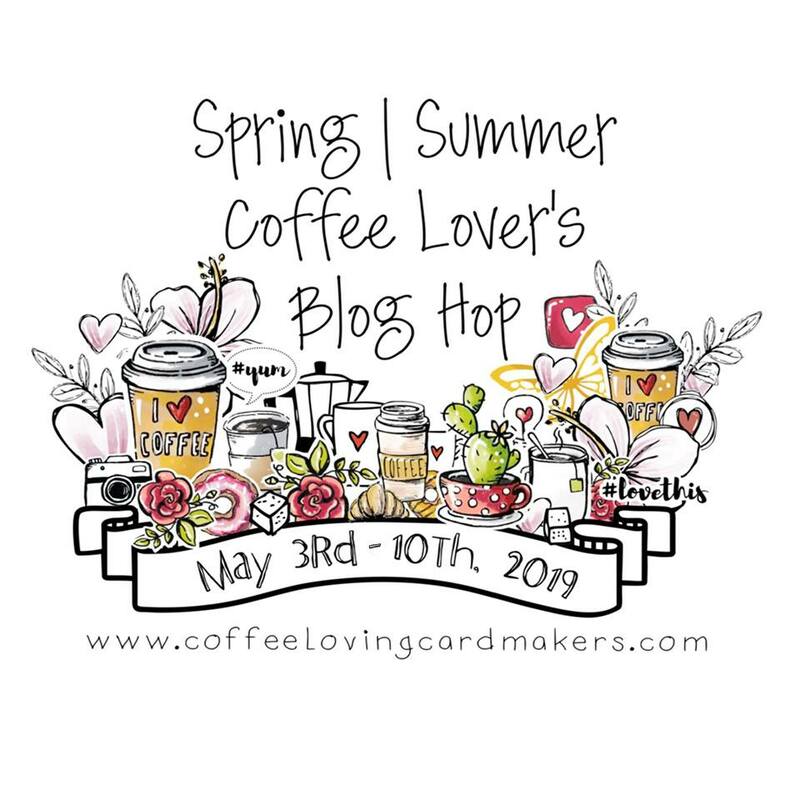 And a big thanks to Donna for helping me to finally learn how to use my Cricut (after owning it for a couple years already) and my new Gypsy (which is also awesome). I'll be uploading artwork soon.